Get your waffle maker really hot and spray it with some nonstick spray. Using a handheld blender, food processor, or standing blender, blend all of the above ingredients together to create a pancake-type batter. 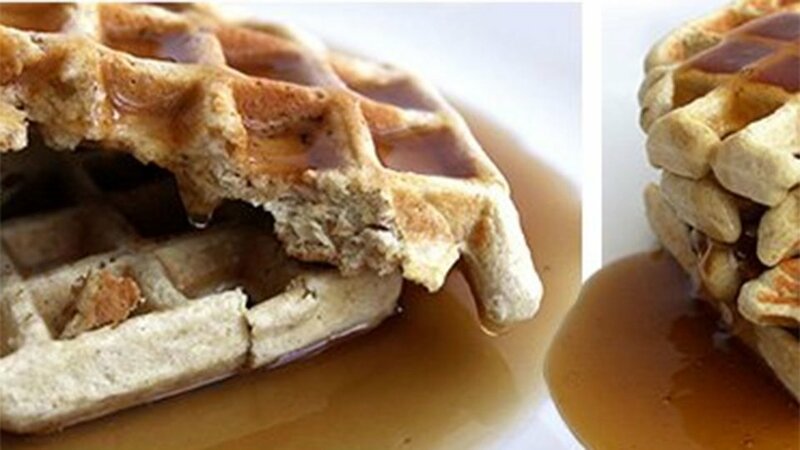 Pour the waffle mix on the waffle maker and close it until the light goes off and the waffles are cooked. Plate up! Top with your favorite nut butter, some fruit, maple syrup, or some Walden Farms calorie-free maple syrup! Note: Try using the protein waffles as the bread for a sandwich or burger. Add a little sweet to those savory lunches? Yes, please!